Temperature control of exhaust gasses coming off various combustion processes in refineries and related facilities is often critical to effective pollution abatement and compliance with applicable regulations. There are specific temperature windows where toxic gasses can form or other substances can condense, causing corrosion and other harmful effects, so operators need to make sure the process is running at the correct levels. Stacks, chimneys and other gas handling equipment can take all sorts of forms depending on the application. Some may include scrubbers, gas cooling, chemical injection, afterburners or ambient air mixing—but a common element is the need for effective temperature measurement of the gas at various points in chimneys (Figure 1). Given the length and height of a chimney, its associated ductwork and ancillary systems—there can be dozens of sensors inserted at strategic points from one end to the other—providing the process automation system and the plant operators with critical temperature data. These sensors are often in hard-to-reach locations where installation and maintenance are difficult. While these sensors are often spread over a great distance, they must connect back to one central point where the larger gas treatment system is controlled. Figure 1. 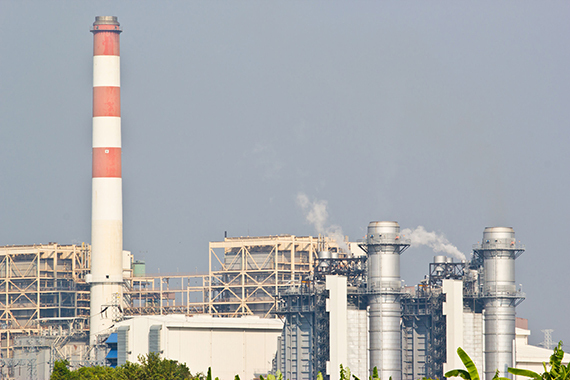 Chimneys found in refineries and other hydrocarbon processing facilities often require temperature monitoring. At a refinery in the Americas, the main chimney is located 300 m away from the main control room, and there are about 30 temperature sensors mounted on the structure, the highest of which are 30 m above the ground. Wiring for such an installation was going to very challenging, so the company instead installed an ISA100 wireless network. When the refinery was designing the system initially, it was clear the cost of individual wireless transmitters for each temperature sensor would be expensive and take too long to install. 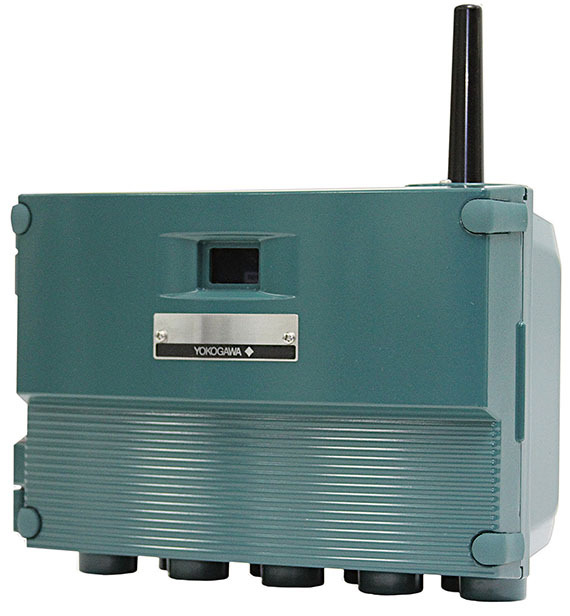 To alleviate these issues, the refinery selected Yokogawa YTMX580 Multi-Input Temperature Transmitters, each of which can accept up to eight individual sensors and send the data back via a single wireless transmitter (Figure 2). Each unit can accommodate a variety of RTD and thermocouple types to meet application demands. This approach minimizes the amount of required wiring while also cutting the cost of the wireless infrastructure. Four of these multi-input transmitters are installed at the facility to service the group of temperature sensors, eliminating the need to add cabling to the control room. The plant’s wireless network backhaul infrastructure brings data from the chimney to the operators so they can monitor system performance in real time. The success of this installation has given the plant the confidence to extend the ISA100 wireless network using Yokogawa’s Plantwide Field Wireless infrastructure. Figure 2. Wiring temperature sensors installed in a chimney back to a control room can be challenging and expensive, so many plants and facilities are instead implementing wireless solutions, such as this Yokogawa YTMX580 8-input temperature transmitter.